August 5 – William Hill have scored a Premier League hat-trick this week announcing a three-year deal with Chelsea to become the club’s new official betting partner. The deal is a global partnership. The Chelsea announcement follows hard on the heals of announcements of two year partnerships with London rivals Tottenham Hotspur and Everton. 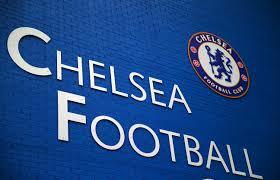 As well as offering odds through its, William Hill will offer special Chelsea odds through its website and smartphone apps, as well as operatematchday betting service at Stamford Bridge. Fans can place bets at the stadium on the day of the game but can collect winnings from any one of William Hill’s more than 2,300 shops across the UK. As in the deals with Spurs and Everton, William Hill will receive branding presence across Chelsea’s digital assets and on the pitchside advertising at Stamford Bridge.